Many companies are moving towards a DevOps model for developing and deploying software and infrastructure. 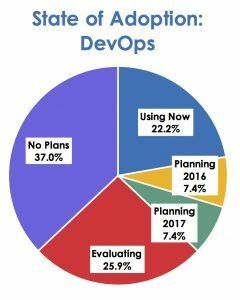 DevOps is also a bellwether technology for organizations: Companies that have the most mature cloud and data center strategies are three times as likely to use DevOps as are companies overall. In our Nemertes 2016/2017 Cloud and Data Center Benchmark and Maturity Model, we found that 75% of highly successful companies have implemented DevOps, versus 22% overall. To put it simply, implementing DevOps moves companies to a lean, agile, fast-startup mode of operations—a true Digital Transformation. But making this move requires more than just reorganizing teams into scrums, setting up the Atlassian tool suite, and moving to a continuous integration/continuous delivery code elevation practice. It’s also important to pay attention to “adjacent spaces” in this transformation, areas that become new challenges as a result of the shift. Four interesting new companies address four of these DevOps “adjacent spaces”. I’ve mapped each company to the space it plays in, with a brief description of why the space is important. For more information on the companies, click on the link to go to the site. Also, if you’re in NYC on April 20, and you’re currently employed as a senior IT professional at an enterprise organization, you can plan to meet these companies (and me) at the Velocity Network event, described below. As noted, the DevOps paradigm shift means moving from a self-contained environment to an API-based one. And that means planning for API management. At first blush, it might be odd to think in terms of API “management”. An API is a way to get at a program or data, not something that needs to be managed—right? Not quite. As the ecosystem economy expands, companies are increasingly developing their own APIs (for use internally) or connecting to third parties via API. 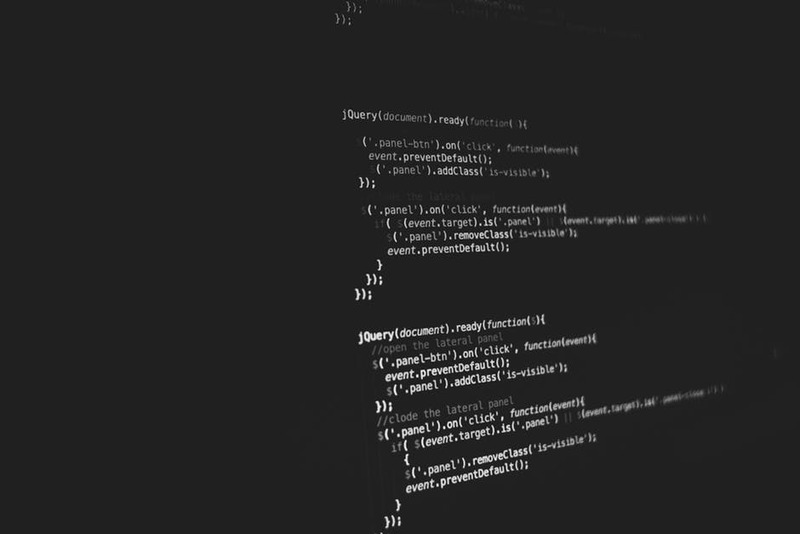 Increasingly, therefore, technologists need to think in terms of advertising and promoting their APIs for use by developers (internal or third party), tracking the API portfolio, and noting (or delivering) API updates. Moreover, whether the APIs are for internal use, or third parties, technologists will want to run analytics indicating which ones are most commonly used, how many transactions are occurring through each, and how well they’re performing against SLAs. A core benefit of DevOps-based design is that it moves the basis for decisions from “highest-paid person’s opinion” (HPPO) to a data-based decision. As noted above, the reliance on data is a key component of the DevOps-enabled transformation. There’s a story—perhaps apocryphal—that in Amazon’s early days, one of the company’s engineers wanted to add a banner providing advice about what else a customer might want to buy on the way to the checkout. Conventional sales wisdom at the time held that distracting a customer en route to checking out increased the chances of losing the sale, so the sales team was adamantly opposed. The engineer therefore ran a test: one group of customers saw the banner, another group (identical in every way) did not. The average sales to the first group was substantially greater than that to the second. The engineer was right. But the key to proving him right was access to data, which brings us to the importance of analytics. In a DevOps environment, that might mean monitoring the performance of applications, services, and containers, and getting real-time insight into what’s going on. Data is key, and data analytics is the critical tool for unlocking data’s power. Cloud- and mobile-first architectures are a hallmark of DevOps-based Digital Transformation. Storage is often the red-headed stepchild of the move to cloud—yet it’s as important as cloud-based computing, platforms, and apps. Most cloud-based storage solutions (like Box, DropBox, and Google Drive) largely focus on providing exactly that—space to store large files, perhaps with some versioning layered on top. For many industries, that’s sufficient. Other industries might require more customization, including the ability to store unstructured data files (eg video) as objects, and impose relationships on those objects. Either way, technology professionals should include storage as part of their cloud and DevOps strategies. As mentioned above, I will be keynoting at the private Velocity Network breakfast April 20th in New York City focused on DevOps: Communication, Efficiency, & Collaboration, at which these startups will present. If you are an IT exec focussed on DevOps, please register here to join us! About Johna Till Johnson: Johna is the CEO of Nemertes Research, a research-advisory and strategic-consulting firm that specializes in analyzing and quantifying the business value of emerging technologies.